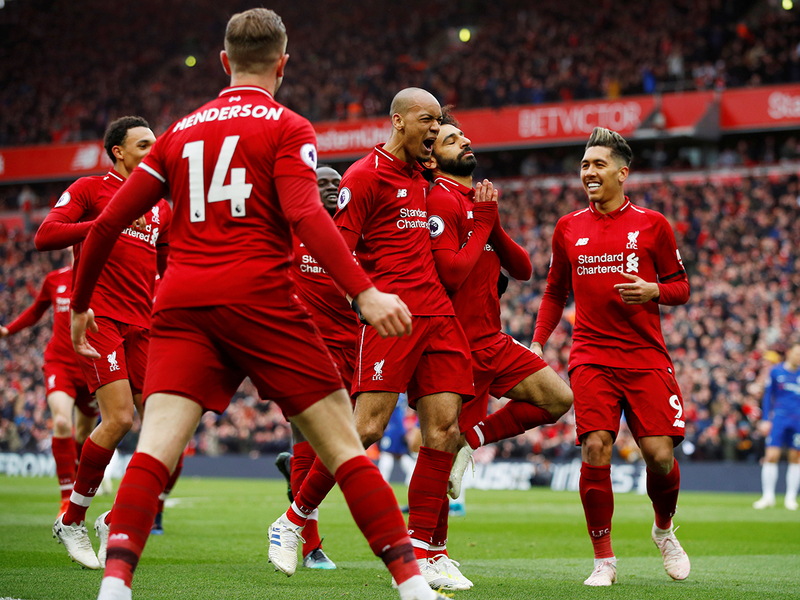 The Anfield side are currently top of the Premier League, one point ahead of Manchester City having played a game more than their rivals, and head into Wednesday’s Champions League quarter-final against Porto holding a 2-0 advantage from the first game. While Liverpool move closer to a second successive spot in the semi-finals of Europe’s elite competition and are tantalisingly close to a first ever Premier League title and a first top-flight English title in 29 years, Barnes is already proud of everything the club has done this campaign. The former Reds and Watford winger is in Dubai for the DHL Open on May 2. It is the first event of the 2019 DHL Swing Against Cancer Golf Series. “It has been a fantastic season regardless of where Liverpool end up,” Barnes, who was capped 79 times for England and was part of the Liverpool team who last won the English league back in 1989-1990, told Gulf News in an exclusive interview. “For me, the league always comes first and Europe second, but this has been an incredible season for Liverpool. I think it is better to come second with a possible 97 points than to win the league on 86 points. We have lost only one game all season, but it is unfortunate to be up against a fantastic City side who could still deny us the title. “If we win all our remaining matches and City will all their remaining matches, we still only finish second, but that is no failure, it is a triumph as that points total would have won any title in nine of the past 10 years. What (manager) Klopp has done is fantastic. While Barnes is adamant Liverpool’s campaign is already a triumph, he still knows that trophies are what the fans crave — and that City are still the ones to beat. The DHL Swing Against Cancer Series has grown out of the Mike Clark Golf Day, a charity golf day that was started in honour of Mike Clark, a much-loved figure on the local golf scene who worked at Jumeirah Golf Estates and died of bowel cancer in 2012. Last year’s events raised $100,000 and the series has raised a total of $300,000, which has gone directly to the care of cancer patients. Following the DHL Open on May 2, where there will be a Q&A session with Barnes, there is the first ever international DHL Swing Against Cancer Golf Series event, the Fearnley International Group Open on the Hawkshill Course at Newmachar Golf Club, Aberdeen, on Friday June 14, followed by the DSA Open on the Majlis course (home of the Dubai Desert Classic) at Emirates Golf Club on September 19 and then the Grand Final which is played in conjunction with the Mike Clark Golf Day at Jumeirah Golf Estates on November 7. The main prize for the winner of the DHL Swing Against Cancer Golf Series is a spot in the DP World Tour Championship Rolex Pro-Am where they will rub shoulders with the likes of Justin Rose, Francisco Molinari, Tommy Fleetwood, Rory McIlroy and Sergio Garcia.